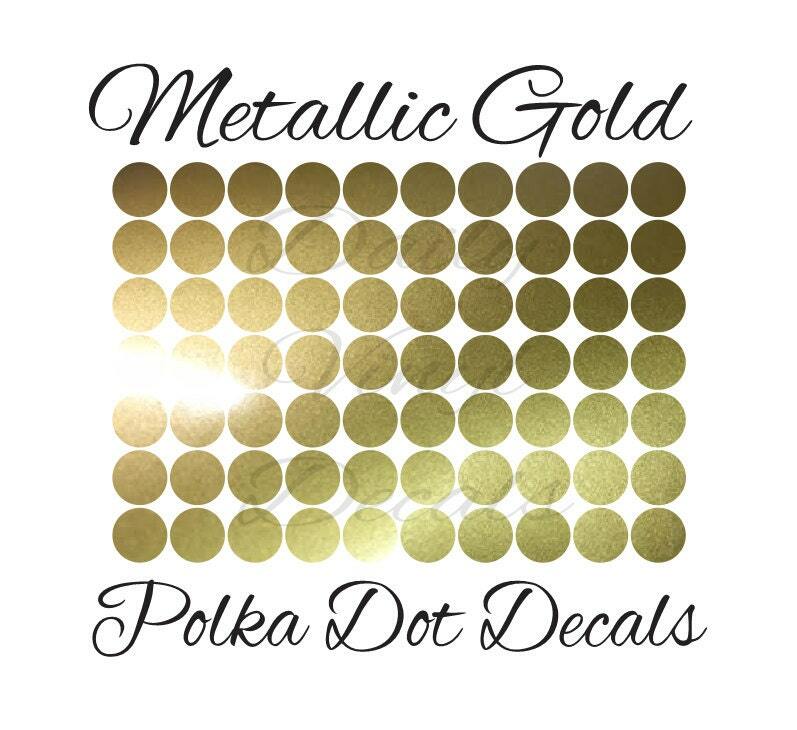 25 PACK Metallic Gold Polka Dot Decals *Choose Size & Color* Metallic Gold Circle Stickers - Home Decor Decals - Wall Decor Decals etc. Die Cut Vinyl Decals made from high quality adhesive vinyl material. Easy to apply and remove when desired. Apply to any clean smooth surface. Great for wall decals, home decor, windows, doors, etc.